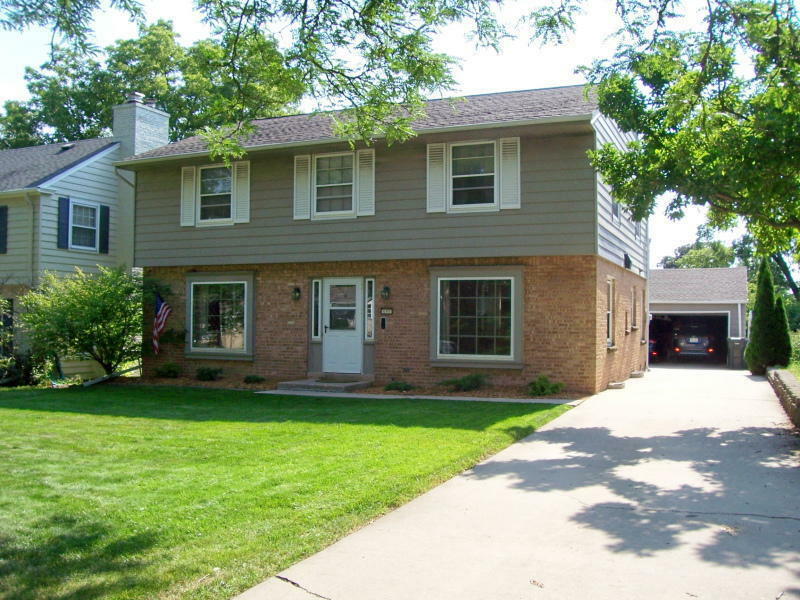 Lovely, center entrance Colonial in most conveniently located Glenview Heights neighborhood. Walk to schools and most everything you'd want including coffee shops, parkway and all that Tosa Village has to offer. Generous room sizes throughout. Main floor features formal Living and Dining, Den, Sun room with wood pellet stove, newer (fully equipped) eat-in Kitchen with granite counters and Viking stove plus a half bath. Upstairs features Master suite, second full bath plus 3 other good size bedrooms. Additional living space in lover level family room (with wet bar and stove top))plus office. Abundant hardwood flooring and lots of closet space. Low maintenance exterior, combination storms and screens. Inviting patio area and cute yard plus 2 car garage. HMS home warranty included.